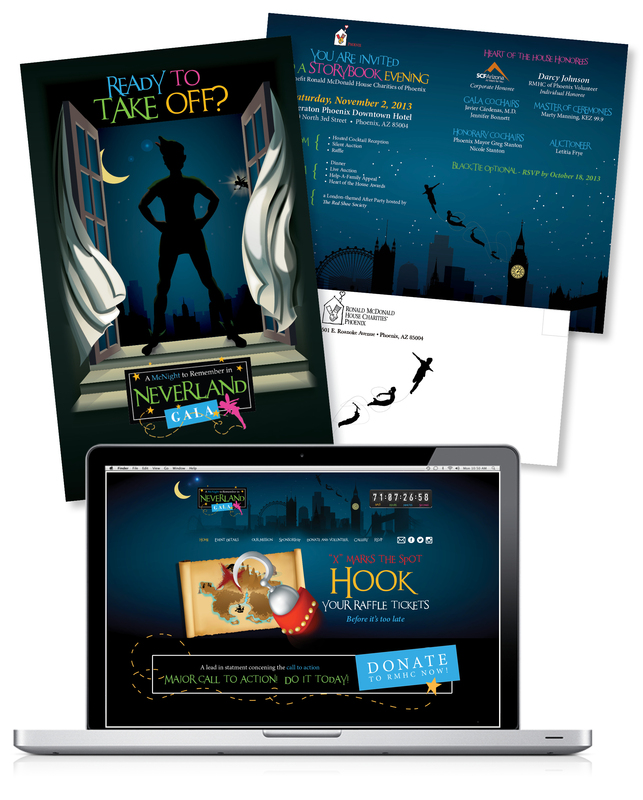 I was honored with complete artistic freedom on how to interpret the year’s theme of “Neverland” for the annual McNight to Remember Gala. Created original illustrations for the website, invitation, and a limited print series to auctioned off at the gala. Concepted the user interface and parallax elements to be included in the site. Created wireframes and web-mocks for adaptive/responsive website implementation. Worked directly with vendors for printing elements and options. The theme is updated annually, but click here for a web archive.